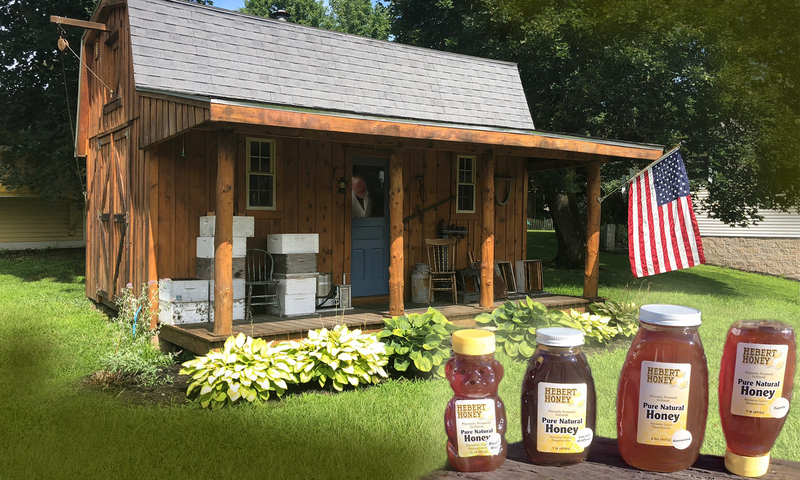 Buy natural honey, it's a sweet deal! Hebert Honey products are all handcrafted of 100% natural ingredients. The honey and beeswax used in these products are both produced by our bees, extracted and processed by us using standards and dedication to provide the purest of natural products. This Beeswax Lip Balm is natural in every aspect. Only the finest oils are used and there are no petrol chemicals or drying alcohol used in the preparation of this LONG LASTING product will last 8 to 12 months under normal use. Honey and Vitamin E are used to help repair skin cells and keep lips soft and healthy. The main ingredient, Sweet Almond Oil, contains antioxidants and is rich in enzymes and amino acids, minerals and vitamins that feed and enrich your skin and promote healing dried cracked lips. Coconut oil is used to moisten and beeswax is used to form a protective coating on the skin to hold in moisture and let the body heal from within. You will love the way it feels. Hours after you put it on you can rub your lips together and feel it on there working for you. Because of the honey and beeswax used in the preparation, this lip balm has a natural SPF 15 rating. 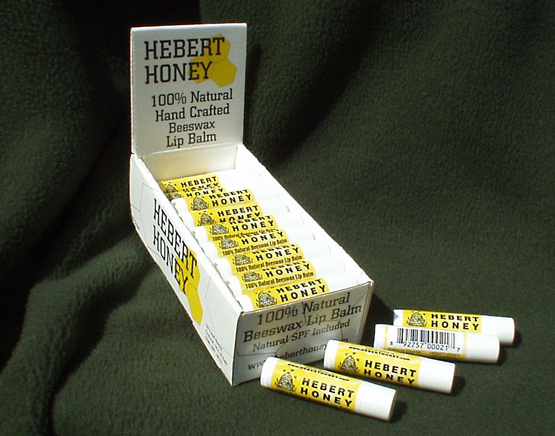 Hebert Honey Lip Balm is packed in a distinctive display box. We offer these quality Lip Balms in TWOs. We also offer these quality Lip Balms individually. Please order by type or give us a call or eMail. Feel free to contact us with questions and wholesale inquiries.